We hope the information below will assist you with the use of our services. We will help you control your spend by providing you with notifications via email in line with your selection at time of taking a post paid subscription account plan. Usage notifications do not occur in real time but with a delay of 48 hours after you actually reached the respective thresholds. Your satellite mobile service can be used any where overseas at the same rate of the plan you are on, so there are no "Roaming charges" as such. Your mobile service allows you to roam (i.e. use it) overseas and you are not required to contact us to activate or deactivate mobile roaming prior to travelling outside Australia. Charges for mobile roaming are the same as using the satellite services here in Australia. MGLSAT do not charge you for receiving tex/SMS messages. Please contact us if you wish to receive more information. 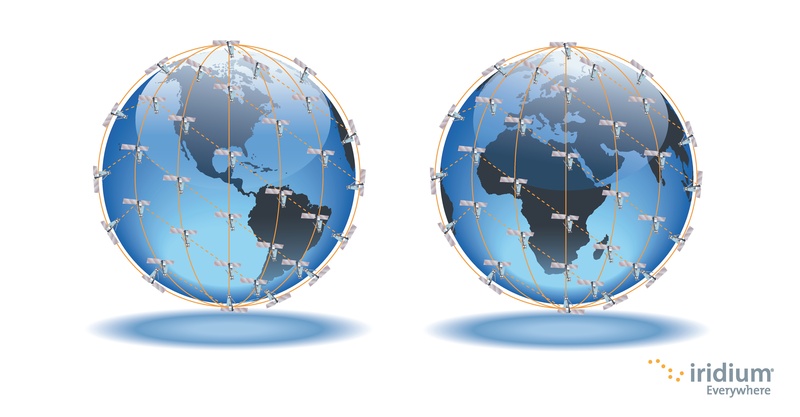 Your service is provided using the Inmarsat or Iridium network depending on the handset you have. they are not interchangeable. Inmarsat works only with Inmarsat and Iridium only works on the Iridium network. Whilst we are not responsible for the network or its functions, we will be there to help in case you have any feedback or wish to complain. To learn more about the coverage that your satellite mobile network offers, please refer to the coverage map(s) below. Please note that actual coverage depends on numerous factors, including local geographic and structural/buidling conditions. Therefore, we recommend, if possible, to test coverage at your specific location, e.g. using the mobile of a friend who already uses the network etc. We will bill you Monthly in advance on the 1st day of each month with calls made during the previous period billed in arrears, and your bill will be emailed to you. Your phone bill will be issued electronically in advance for you to asssess and comment on prior to the Direct debit date. Where we supply hardware, e.g. a satellite modem, router, satellite phone etc., you are most likely entitled to a warranty under the Competition and Consumer Act and we are responsible for dealing with any warranty matters on your behalf with the manufacturer.